Who says you need sleep on weekends? You get up and get out there. 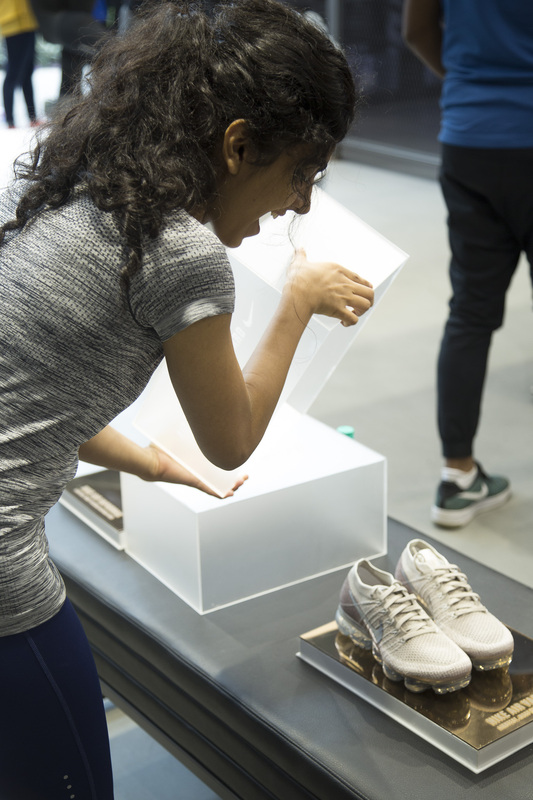 Yesterday I went for the Nike VaporMax launch event and got my hands on my very own pair of The Nike Air VaporMax shoes (which are jaw-droppingly gorgeous, btw.) 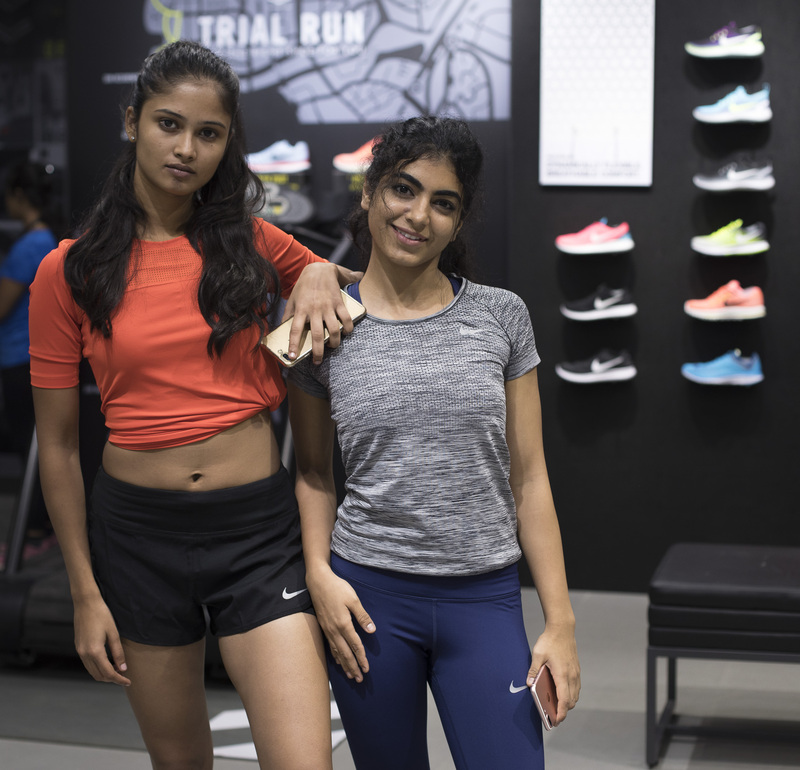 Also met the Nike Running Squad (Shaleena Nathani, Jaie Bhadane, Juhi Godambe and Shraddha Sashidhar) there with whom I had an amazing time chatting everything about running and fitness in general. 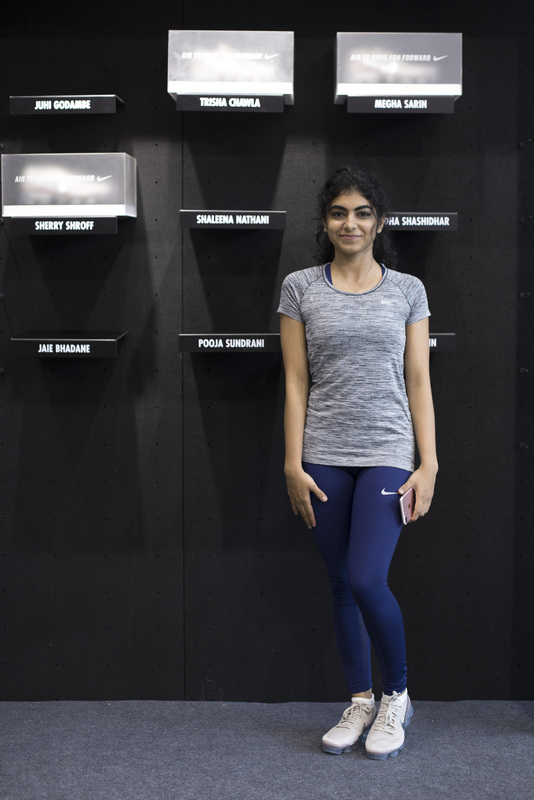 It was inspiring to learn about how Shaleena manages her hectic schedule while still finding time to run. Jaie is an accomplished graphic designer who runs and trains extensively in her spare time. 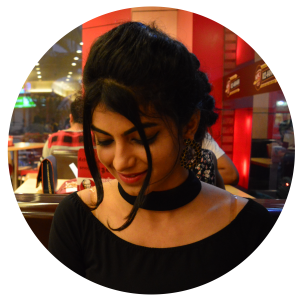 Juhi is one of India’s youngest and most followed fashion blogger. 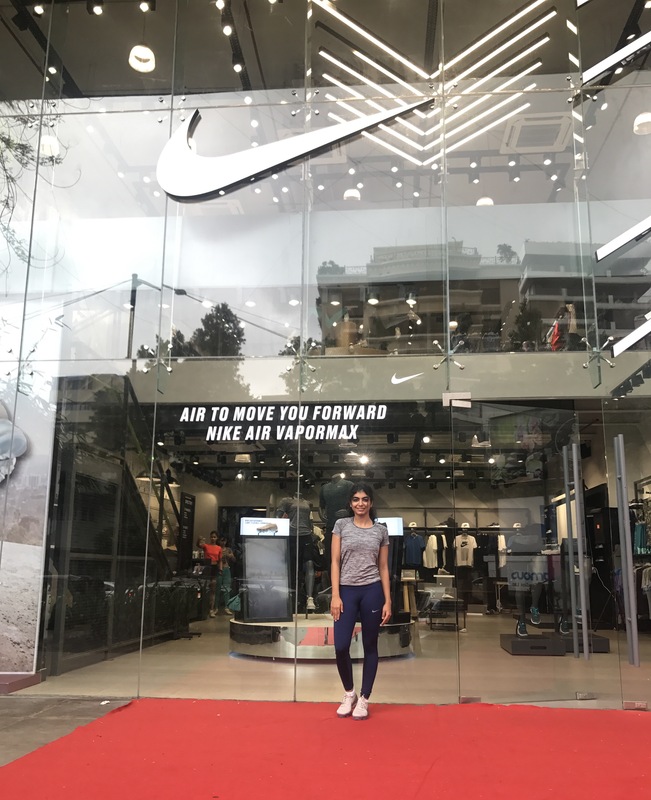 Shraddha is a national level basket ball player, sports has been a big part of her life throughout. Who could have thought running could introduce you to such strong, amazing and successful people. Each unique in their own beautiful way. Post the event, we sport suited up and began warming up to start our run. The gods were kind, I couldn’t have asked for a better weather and people for the run. 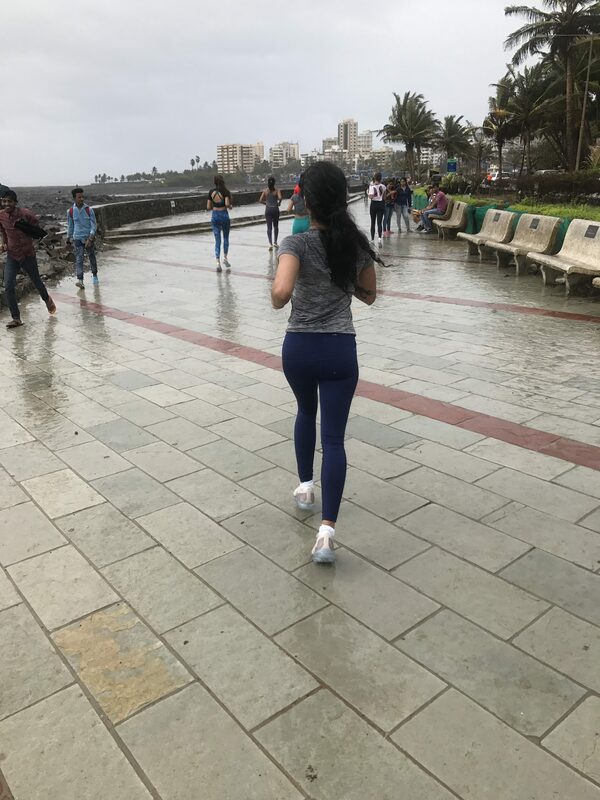 The beautiful overcast weather with a backdrop of Bandra Worli Sea link and just enough drizzle to make it a perfect day for running. The run was a joy, the wind caressing my face and ruffling my curls was exhilarating. Smiling and motivating each other along the way, we completed our run. Looking down at my NRC app I realised I completed almost 3 kms in about 20 minutes. I’ve just started using the app, and it’s already got me hooked. When I crossed the finish line, I realised running isn’t boring, or a task that you have to finish, it is something more than that. It is a surreal experience which can only be felt. Many runners become obsessed with times. The need to break the 40-minute barrier for the 10K, for example, or run under four hours for a marathon, can become an obsession, but for me running is all about a competition with myself. What I like about running is that anyone can be a runner because all it takes is putting one foot in front of the other as fast as you can and for as long as you can. You don’t need marathons to start running, just get out of your bed and put on your running shoes, play some upbeat music and you are good to go. As I am not a regular runner, I felt my mind was tired before my body. So I believe your mind needs training as much as your body does, you need to believe that you can do it and start with baby steps, then build on it. 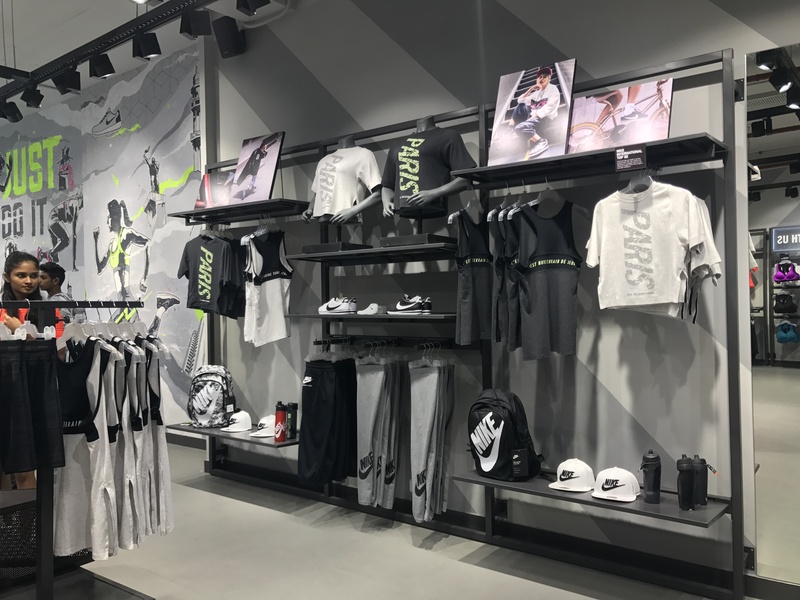 I cannot wait to continue my running journey with Nike. I hopy you’all are doing well.